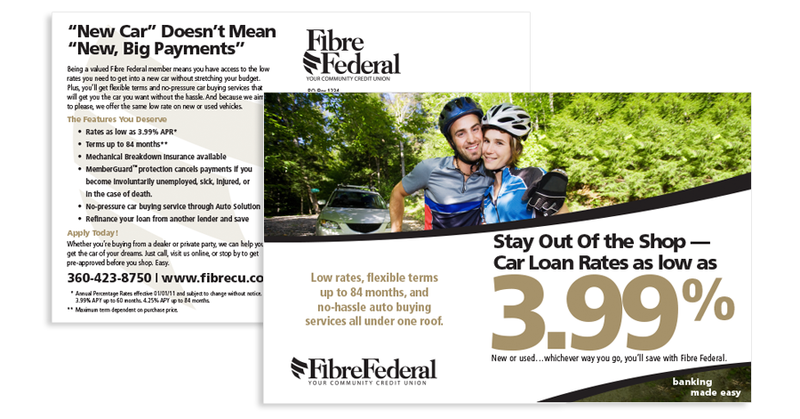 To introduce Fibre Federal Credit Union’s to their newest members, custom direct mail pieces were created to best reflect their brand. 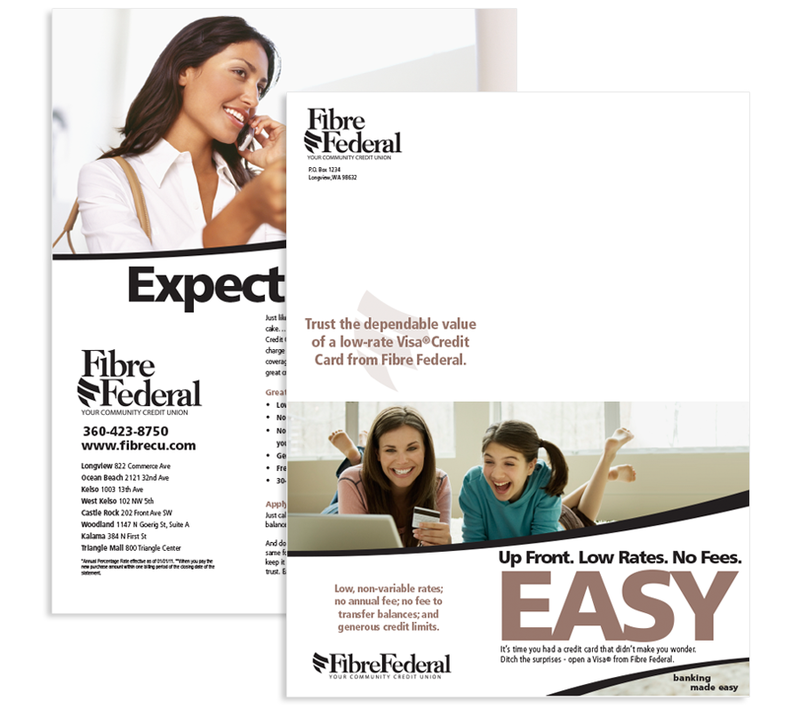 Custom copy was developed to highlight the unique selling feature of each product offer. 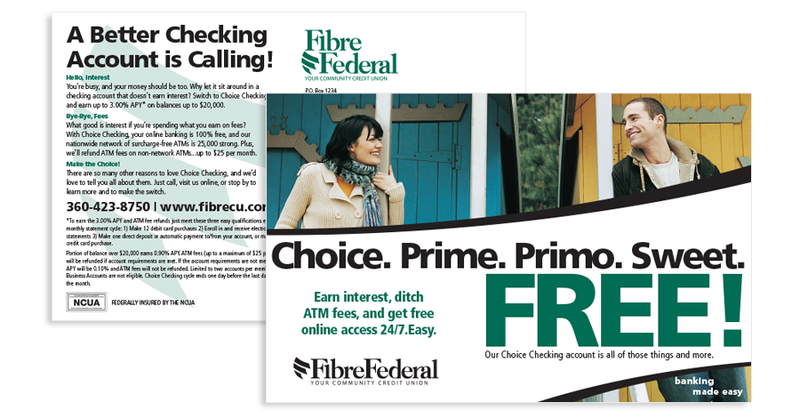 In addition, images were selected based on Fibre Federal’s geographic and demographic make-up. 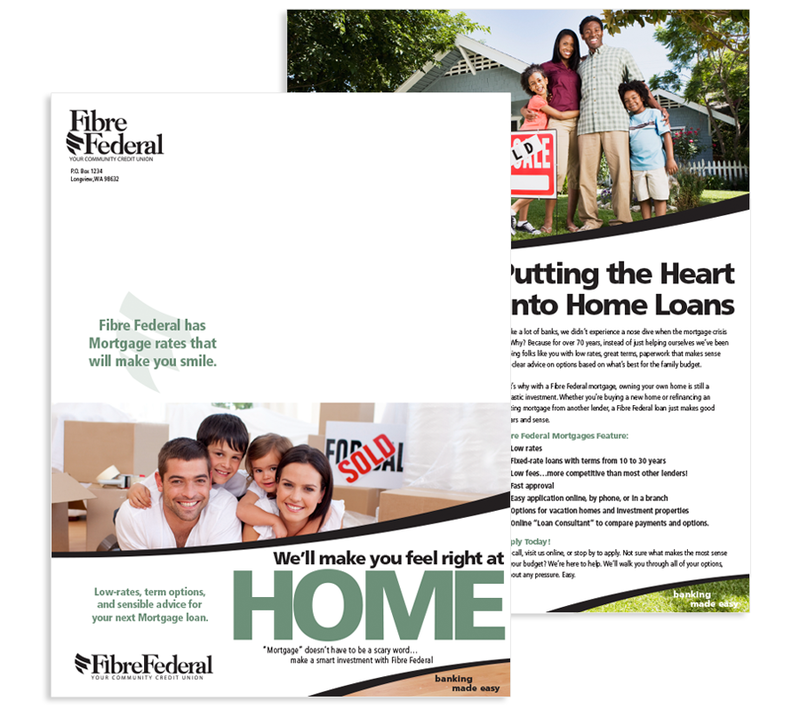 Ten direct mail pieces were designed, and then were made into online templates for ongoing, free edits by Fibre Federal.